An alumna works to sustain commerce and conservation. 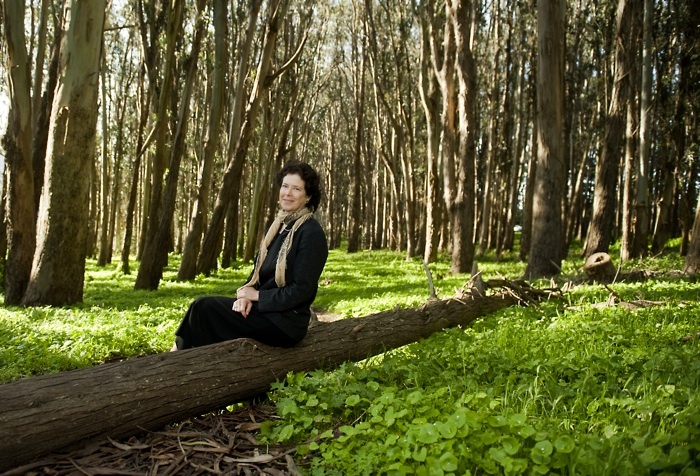 Laurie Wayburn finds both inspiration and solace in these protected wood- lands, within walking distance of her San Francisco office. Wayburn carries on the spirit of her late father, the conservationist Edgar Wayburn. To marry these cultural and economic realities, Wayburn and her partner, Constance Best (who co-founded PFT with Wayburn in 1993), have focused on conserving working forests. And through pioneering a conservation easement specifically for land still in production, they have found a way to reward landowners who engage in sustainable timber harvesting and long-term stewardship that preserves forests’ critical role in removing greenhouse-gas emissions, providing clean water and habitats, and stabilizing the environment. “It’s the old ‘You can have your cake and eat it, too,’” says former PFT board member Walter Sedgwick ’69. “There are people who want to protect and set aside forests through organizations like the Save the Redwood League, the Sierra Club, and the Nature Conservancy, which tend to buy forest and let it grow, and people who would cut down the forests in short rotations and monetize the resources.” PFT’s approach has brokered a middle ground in what has always been an extremely polarized, politicized arena. In numeric and environmental terms, the stakes are very high. Forests cover one-third of the United States--and two-thirds of them are in private hands, so there are only nominal regulatory controls over their development. Forests fuel the nation’s $130-billion timber industry, delivering basic products and critical rural jobs. “Every year, forestlands the size of Delaware are being destroyed,” Wayburn says, “and nobody wakes up realizing what that really means to our world. Frankly, you can create alternatives for a variety of timber products out of other plants and materials through recycling--but you cannot replace the clean air and clean water that forests nurture.” She believes American culture is slowly evolving into a society that recognizes the need to pay for what it really needs--a stable, resource-rich environment. The privately owned Van Eck Forest, for example, is a 2,200-acre tract that PFT manages and conserves in Humboldt County. It is a testing ground and model for PFT’s brand of stewardship, and was the first emissions-reduction project registered in California under that state’s new carbon-accounting standards, which PFT was instrumental in drafting, in 2006. The system rewards landowners for responsible harvesting practices by allowing them to sell carbon credits from forests in the carbon market created by the state’s landmark legislation. At the same time, under its working easement, the Van Eck Forest is projected during the coming century to reduce more than 500,000 tons of CO2 emissions through sustainable forestry techniques that sequester more carbon than conventional methods do. Recently, PFT took this easement principle a step further toward species preservation and habitat formation. Two endangered northern spotted owls have been seen on the property, engaging in behavior that typically leads to nest building, Wayburn says. (She has vast knowledge of bird life and was executive director of the Point Reyes Bird Observatory before founding PFT.) Typically, in such a case, timber production would be restricted under the Endangered Species Act--a source of tension and conflict between landowners and conservationists. But because PFT’s easement was already in place--and had, in fact, helped foster a habitat that drew the birds in--the U.S. Fish and Wildlife Service recognized the easement’s inherent value and PFT was able to use that to negotiate a 99-year Safe Harbor Agreement that did not interfere with planned logging on the land. In January, Wayburn led a “working lands coalition” (forest landowners, mill owners and environmentalists) to Washington, D.C., to advocate for the inclusion of forests in climate and energy legislation. Group members stressed the need to maintain and increase jobs in the declining wood-products industry in order to reduce pressure on landowners to sell forest tracts for development. Specifically, they said, the climate bill should include: an accurate accounting of carbon stored in and emitted by the nation’s lands; acknowledgment of emissions reductions from forests in any climate policy; and funding for conservation and stewardship to protect essential infrastructure that reduces carbon emissions. At Harvard, where she transferred after a year at the University of California-Davis, Wayburn worked closely with Agassiz professor of zoology and professor of biology Farish A. Jenkins Jr., spending most of her time at the Museum of Comparative Zoology “pulling out drawers of dead birds and studying their skins.” She concentrated in geology and biology, but would have chosen ecology had that been an option. Some might argue that such formal study was less valuable than what she’d already learned growing up with her parents, Peggy and Edgar Wayburn, M.D. 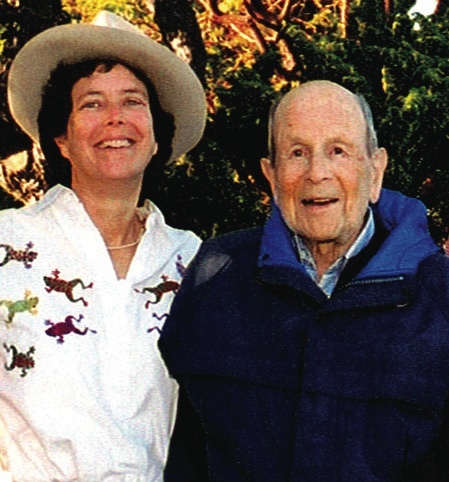 ’30, a renowned conservationist and former Sierra Club president who died in March, at the age of 103. Campaigns that he led ultimately protected about 104 million acres of Alaskan wilderness and huge tracts throughout Northern California, including the places his daughter still loves to hike. He was also a prime mover in establishing the Golden Gate National Recreation Area, and had the foresight to push to have the Presidio, a nearly 1,500-acre former military base at the foot of the bridge, added in time. This thinking is evident throughout one of PFT’s most recent conservation initiatives, for the Klamath-Cascade region, which runs from northern California across the slopes of Mount Shasta and into Oregon. These 9.8 million acres, half publicly owned, “contain the most biodiverse conifer forest in the world,” Wayburn says. “The region is the source of two-thirds of California’s drinking water--and most people don’t even know it exists.” This valuable “wood basket” also produces up to 75 percent of the timber harvested in California annually. “This is a prime opportunity to knit together different aspects of conservation,” she reports: “a functional landscape in which we can grow a natural resource and sustain the economy--in an area that still has large ownership on the private side, as well as relatively low population and nice weather--which means it is under huge development pressures.” The region is still fairly intact, but PFT is working closely with stakeholders and affected communities, seeking to create a “greenprint” to guide a truly viable future.